Pakistani military court has sentenced Indian national Kulbhushan Jadhav to death. New York: Union Minister Arun Jaitley today said the unprovoked gesture of a Pakistani military court to sentence Indian national Kulbhushan Jadhav to death through a "kangaroo court" will not help the cause of peace in the region. Speaking at the Council on Foreign Relations, a prominent think tank, the finance minister blamed Pakistan for the strained Indo-Pak ties. Mr Jaitley, who is also holding the portfolio of defence minister, said India made many efforts to improve the ties with Pakistan over the last few years but every time there was a negative reaction. "Now we have this unprovoked gesture of a military court sentencing an Indian to death through a kangaroo court process," said Jaitley, adding that such acts will help the cause of peace in the region at all. Mr Jadhav, 46, was tried through Field General Court Martial (FGCM) under the Pakistan Army Act (PAA) and was awarded the death sentence. Pakistan Army chief Gen Qamar Javed Bajwa later confirmed the death sentence. Pakistan claims its security forces had arrested Mr Jadhav from the restive Balochistan province on March 3 last year after he reportedly entered from Iran. It also claimed that he was "a serving officer in the Indian Navy." 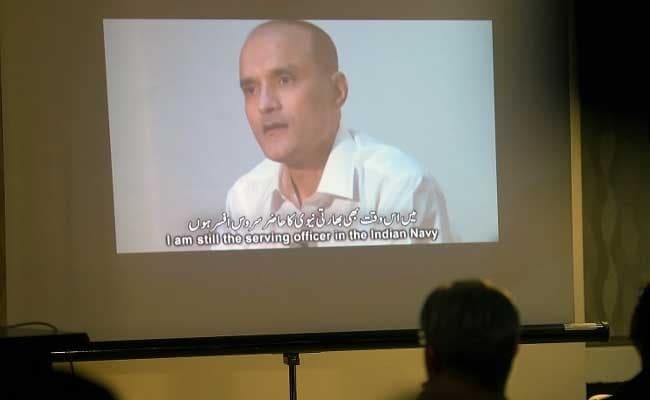 India had acknowledged that Mr Jadhav had served with the navy but denied that he has any connection with the government. The Jadhav episode could further strain the India-Pakistan ties which were hit after attacks in Pathankot and Uri by Pakistan-based terrorists last year.